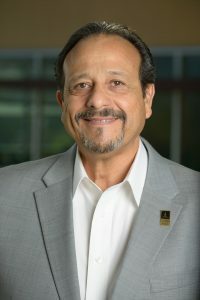 Ray Ruiz leads CDR, a commercial development and project management company that has been doing business in the greater Silicon Valley for over 28 years. Previously he served as an industrial broker at Coldwell Banker and Cornish & Cary Commercial. Ray has a long history of community service as a board member of organizations such as The National Hispanic University, The Hispanic College Fund Latino Youth Institute, Univision Educational Task Force, and Alliance for Digital Equality, Inc.